Around 25 members have hopped in the new Milwaukee Makerspace Theater after the last two Tuesday meetings. Its up and running in a “no hearing protection required” way! The bass still goes way down to subsonic tones, but its being powered by a small & sensible surround sound amp. Its a very immersive audio experience, and likely sounds much better than any 5.1 system you’ve heard because there’s only one seat! The sound has been optimized for the single theater-goer: You! 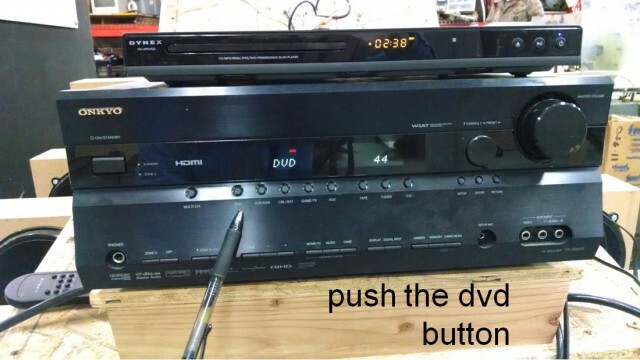 The theater is hooked up to a DVD player, and is available 24/7 for any member to watch a movie in: no check-out required. Note that any video source you have can be hooked up via the HDMI cable. Alternately, you can follow the lead of JasonH, who used the theater with a portable audio player to rock out while he worked on his own project near by. 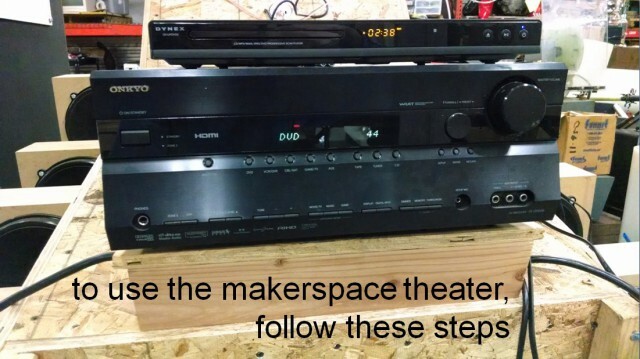 See the photos below for the simple instructions on how you can start up the theater, and feel free to take a break from making by using the theater! After the mediocre commercial successes of some of my previous audio products, I decided to pursue a project that has absolutely no commercial potential. Although my Automated Gmail Assistant had a 0.1% view to purchase rate, they definitely delighted their new owners! On the other hand, my novel audio surround sound processor, audio-visual processor and audiophile headphones did not produce any revenue, despite being manufactured in an exclusive edition of one each. Not to be discouraged, the goal of this project was to expand on the core idea behind the aforementioned audiophile headphones, but to overcome the main two drawbacks of using headphones: 1) Many people find that headphones are too uncomfortable and impractical for long term listening. And 2) most headphones lack the concert-like visceral bass impact, which is that feeling of the kick drum shaking your chest that only rock and roll shows could provide. Simply put, the Humorously Maniacal Milwaukee Makerspace Multimedia Machine (HMMMMMM) is a personal sized movie theater, with 5.16 surround sound. That’s right, this theater is like a conventional 5.1 home theater, but with 15 extra subwoofers to delight the senses. While the bass in a live concert can be felt in your chest, the bass in the HMMMMMM can be felt in your soul(!). In addition altering listener’s consciousness, the HMMMMMM will soon be used to screen our yet-to-be-filmed Milwaukee Makerspace orientation video as an integral part of our onboarding process for all new members. The HMMMMMM measures about 7 feet long and about 4 feet wide. An eager movie-goer can simply climb up the integral stairs (shown on the left) and jump in through the 27” diameter escape hatch in the top of the HMMMMMM. Despite its crazy appearance, the HMMMMMM offers a surprisingly comfortable reclining position, much like that of a lazy-boy. 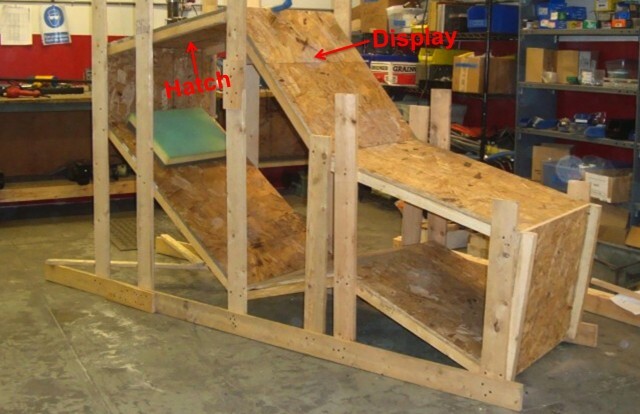 Check out this photo of the HMMMMMM under construction for a better idea of the ergonomic internal layout: There is a pillow for one’s head, and ones feet extend to the right. The 27” display is mounted to the angled portion on the top surface, about 24” from the viewer. Eventually, two 24″ monitors will expand the visual experience into the periphery. The audio portion of the HMMMMMM is a 5.16 system. The high frequencies are played by 5 uninteresting Swan/HiVi speakers that are arranged in a properly boring 5 channel surround configuration. 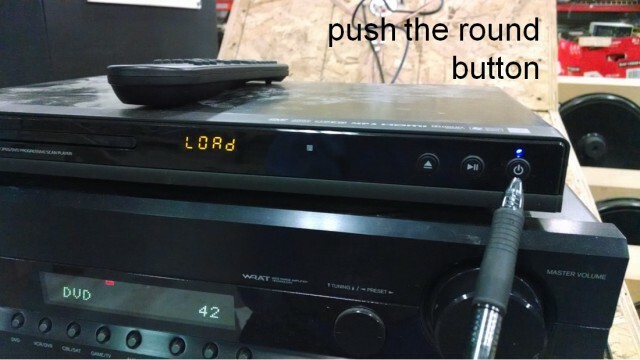 The more exciting portion of the audio system is the subwoofer – well, the 16 (Sixteen) 10″ high efficiency subwoofers that provide that TrueBass™ sensation the masses crave. Its clear from the use of 16 subwoofers that one object of the HMMMMMM was to create an audio system that plays low bass. Playback of really low bass typically requires an extremely large speaker box, and still notes as low as 20 Hz are rarely audible. However, inside any speaker box the bass response is naturally flat to much lower (subsonic) pitches. For more on the sound pressure level inside and outside speaker boxes, check out this link. 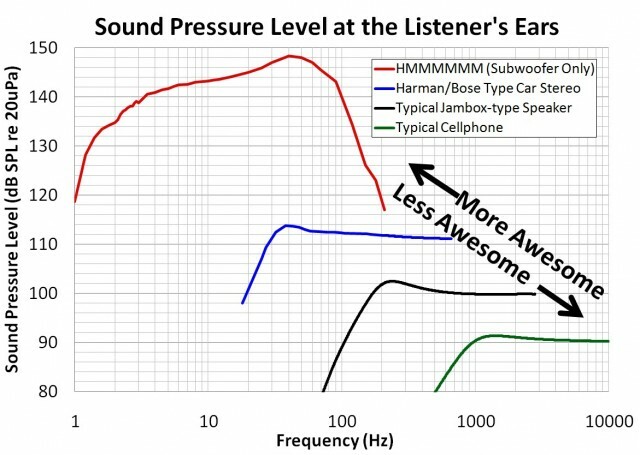 The graph below is a measurement of the SPL or sound pressure level (how loud it is) versus frequency (pitch) at the listener’s ears in the HMMMMMM. The plot shows how loud typical audio systems are, and how low they play. For example, cellphone speakers play only a bit below 1khz, and are ~90 dB if they’re 40cm from you. When a Jambox-type bluetooth speaker is about 60cm from you, it plays ~10 dB louder, and another 1.5 octaves lower, to 200 Hz. Typical bookshelf speakers can get another 5 dB louder if you’re 1.5 meters from them, but only play down another octave to 100 Hz. OEM installed car stereos are a big improvement, but they’re still not in the same league as the HMMMMMM. 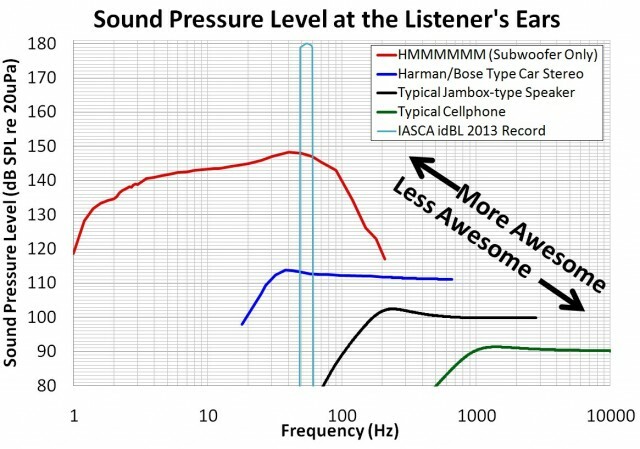 Yes, the IASCA record holding car is louder than this, but it plays only from 50 Hz to 60 Hz, which isn’t even really bass. Disclaimers: For safety, the big 2000 Watt amplifier that drives the HMMMMMM to its full potential is not available when the author is not present. Ironically, the author has taught 75-100 people, the eager early HMMMMMM listeners, how to properly insert earplugs, meaning that the HMMMMMM is actually a learning tool for hearing safety! Finally, the author has some hesitancy in having the HMMMMMM reproduce recordings with 5 Hz content at 140 dB, because typical hearing protection has little effect at these unnaturally low frequencies. PS: Please don’t hesitate to contact me if you’d like to help with the video scripting, filming or editing. The Makerspace Eight Speaker Super Surround Sound System(MESSSSS) has been supplying music to the Makerspace for quite a while now, but I identified a problem even before the system was fully installed. Stereo recordings played back on two speakers are great if you’re in the “sweet spot.” If not, traditional approaches to 5.1 audio improve things, but all rely on there being a single “front of the room.” Unfortunately, it’s not clear which side of the 3000 square foot Makerspace shop is the front, and with four pairs of speakers in the room, even stereo imaging is difficult. 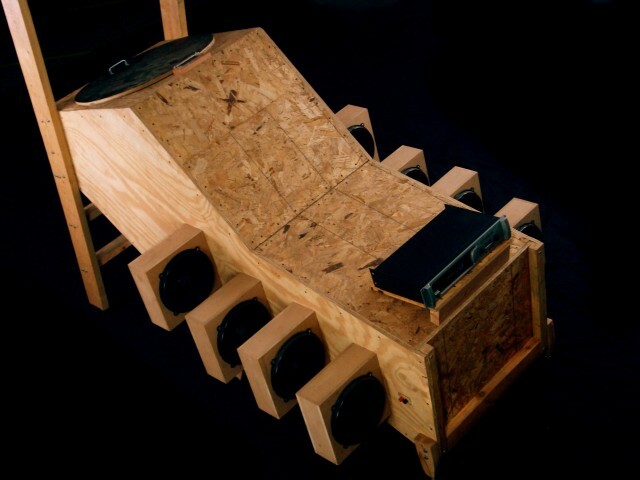 Fortunately, I’ve just completed the Makerspace Eight Speaker Super Surround Sound System’s Enveloping Surround Sound Synthesizer (MESSSSSESSS). The MESSSSSESSS takes stereo recordings and distributes sound to the eight speakers in an entirely fair and user configurable way, thereby eliminating the need for a “front of the room.” Now listeners can be arbitrary distributed throughout a room, and can even be oriented in random directions, while still receiving an enveloping surround sound experience! The MESSSSSESSS user interface is somewhat simpler than most surround sound processers, as it consists of only four switches and one knob. Somewhat inspired by StrobeTV, the simplest mode references questionable quadraphonic recordings, in that the music travels sequentially from speaker to speaker, chasing around the room either clockwise or counterclockwise at a rate selected by the knob. 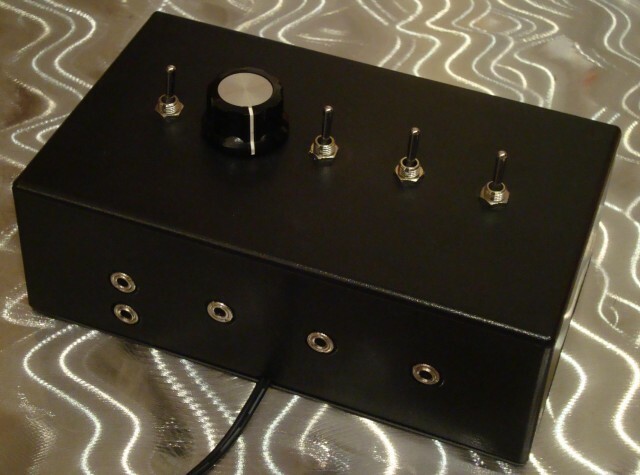 With the flip of a switch, sound emanates from the eight speakers in a random order. Things get considerably less deterministic after flipping the Chaos Switch, adjusting the Chaos Knob, and entering Turbo Mode: Its best to visit Milwaukee Makerspace to experience the madness for yourself. I’m legally obligated to recommend first time listeners be seated for the experience. 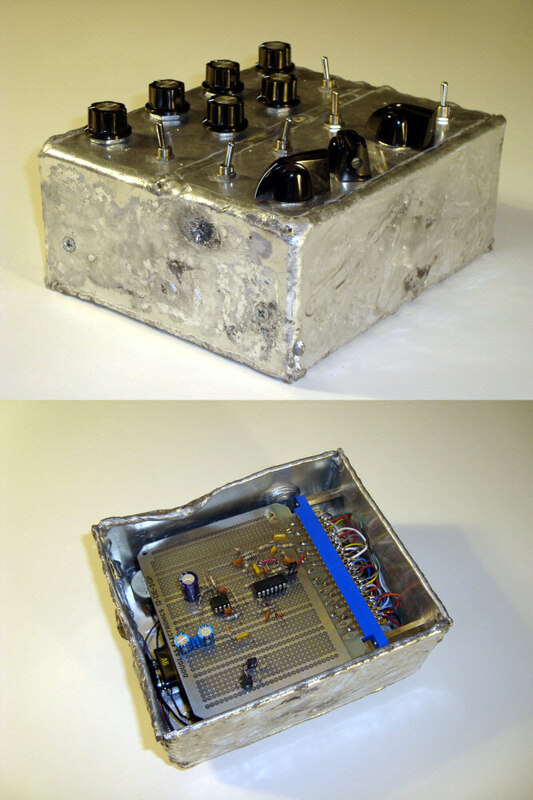 The MESSSSSESSS is powered entirely by an Arduino Uno’s ATmega328 that was programmed with an Arduino and then plugged into a socket in a small, custom board that I designed and etched at the Makerspace. 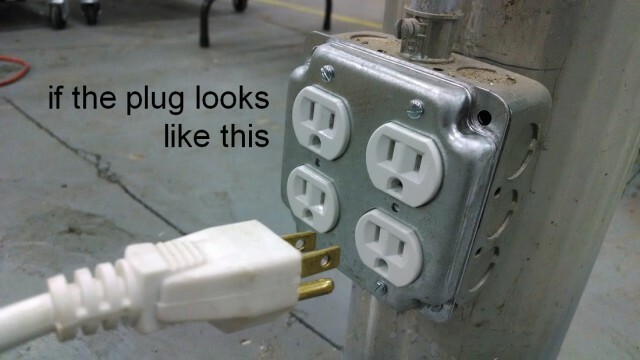 The ATmega328 outputs can energize relays that either do or don’t pass the audio signal to the four stereo output jacks. 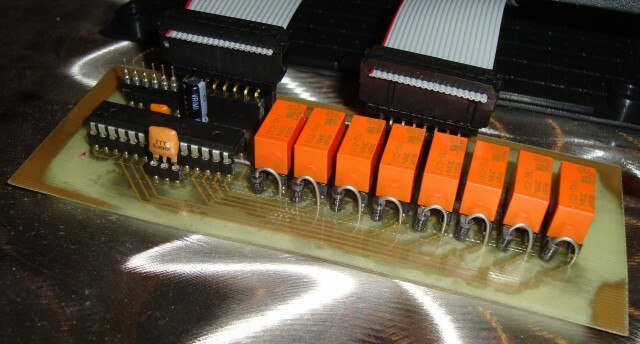 Care was taken to use diodes to clamp any voltage spikes that may be created as the relays switch, thus preventing damage to the ATmega328 outputs. As shown by the minimal part count above, using the ATmega328 “off the Arduino” is quite easy: Just connect pins 1 (The square one), 7 and 20 to 5 volts, and connect pins 8 and 22 to ground. Then, add a 22uF cap and small bypass cap between power and ground, and a ceramic resonator to pins 19 and 20. 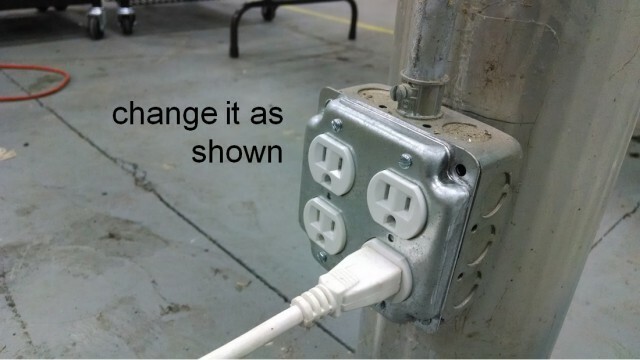 You can even use an old cellphone charger as the power supply. Boom. That’s it. The real benefits of making your own boards are having a well integrated system, and cost, as the Atmel chip is $4.50 while a whole Arduino is $30. Also visible in the photo are a programming header and the two ribbon cables that route all the signals to and from the board. For a few months now, I’ve been acting as an acoustical consultant to Bruce Odland and Sam Auinger on their project “Sonic Vista,” that opened on October 2nd for a 5 year long installation. Bruce and Sam have been making publicly installed sound art pieces in North America and Europe for over twenty years. I first heard their work at MassMOCA in 2006, and met Bruce while he was putting the finishing (soldering) touches on “Harmony in the Age of Noise” at Tufts University in 2008. 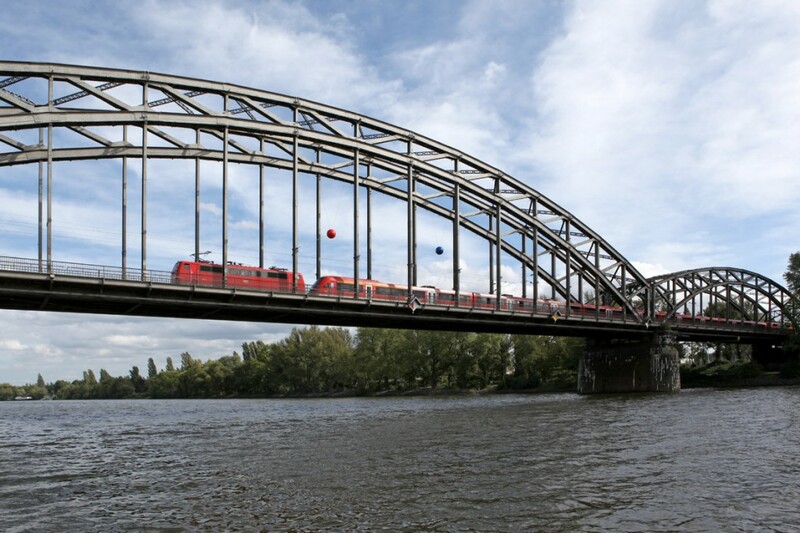 Sonic Vista is installed in Frankfurt, Germany on a train & pedestrian bridge connecting two sections of Frankfurt’s greenway, located here. I aided in the design of the 1 meter diameter spherical speakers, first in solving the directivity problem: How can the speakers be designed so that listeners walking along the pedestrian bridge hear a uniform sound pressure level as they walk? 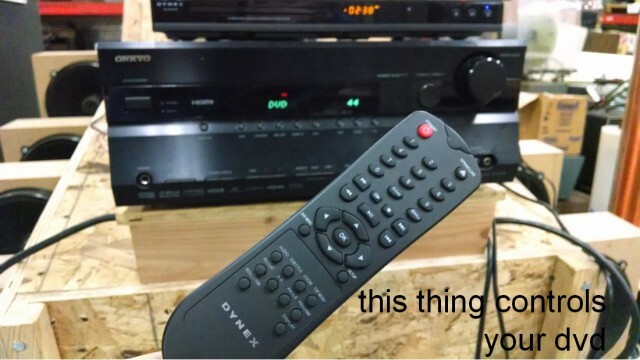 The problem with overhead speakers is that they typically send most of their sound straight downward – so it is much louder directly under them than it is off to the side. The problem is made more challenging by the wide bandwidth — the lowest note is 60 Hz, and the highest notes are near 3000 Hz. I’ll skip all the math and acoustics theory, and just state the solution: a 12 inch diameter woofer needs to be positioned behind a 4 inch diameter hole that all the sound must exit through. This greatly improves the radiation pattern for the highest notes. The heights and horizontal spacing of the two speakers also play an important role in setting how loud the sound will be when one is in between the two speakers. Interestingly, I was able to balance these factors and the system as built achieved a pressure that was uniform within a few dB as listeners walk along the bridge underneath the speakers. The plot below shows the loudness as a function of position along the bridge at the highest and lowest pitches, along with the 35+ dB soundfield variation that would have resulted without this hole to fix the radiation pattern. 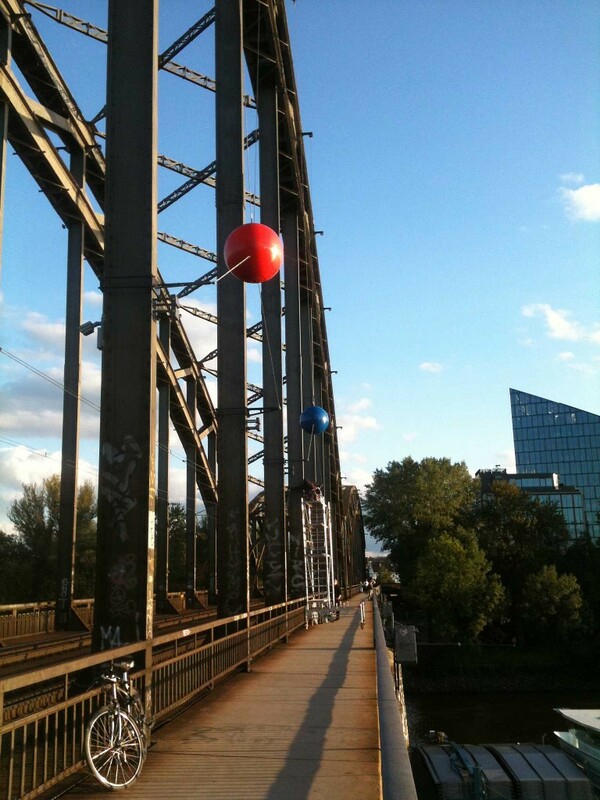 The speakers are located at 50m and 64.7m, the two loudest locations along the bridge. The second problem arose due to the solution of the first: That the speaker radiates through a 4” diameter, 4″ long port created an undesirable resonance that I correctly predicted through the use of a computational acoustics model. 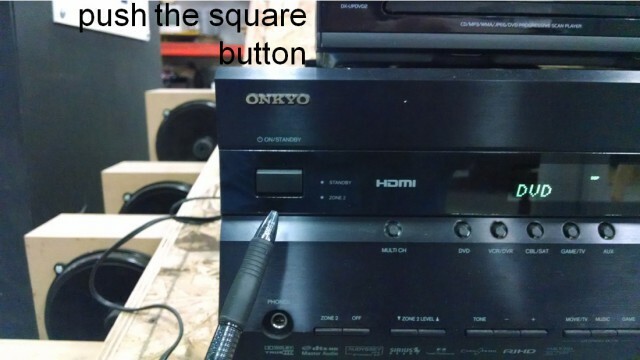 This resonance was actually eliminated by simply equalizing the speakers electrically. This front cavity does lead to the loss of almost half of the sound output, but it’s a high sensitivity, 300 Watt maximum input driver, so it is still more than capable of being loud enough. This is a small price to pay for the tremendous improvement in radiation pattern and listener experience. To hear Sonic Vista, follow this link to SoundCloud. The Rubens tube I made a while back puts on a fairly impressive show when its speaker is driven with music or a noise box, as was done during the Milwaukee Makerspace Grand Opening. The story is somewhat different when it is used to display the acoustic standing wave pattern inside the tube. When a single tone (sine wave) at a resonance frequency of the system is played though the speaker, the heights of the flames map out the sinusoidal shape along the length of the tube. There are two very important variables whose values determine how well this will work. These are the acoustic pressure in the tube, which is set by the speaker and its input voltage, and the propane gas pressure, which is set by a regulator or the valve on the propane bottle. 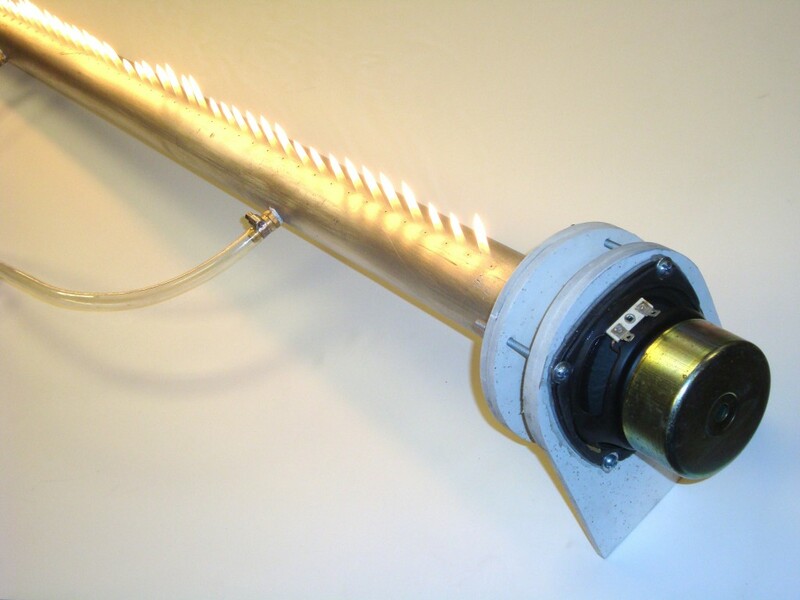 Even a professionally made Rubens tube has a relatively small range of these two pressure settings that create a nice sine wave distribution of flame heights. After running my Rubens tube for a short while, I realized I’d made a few design choices that make the already small range of good operating parameters even smaller. First, I didn’t actually use a gas regulator, I only used the valve on the propane nozzle. Note that the propane flow rate is highly affected by the temperature of the nozzle, so the propane tank must be kept in a water-filled bucket to prevent the outlet valve from freezing up. Just like a gas pressure regulator can be used, so could an acoustic pressure regulator (i.e. a compressor). This could help prevent the flames from extinguishing during particularly dynamic musical passages. Alternately, some type of pilot light system could be devised so that the flames automatically relight – perhaps glowing red nichrome wire could be added in a moderately safe way. I also spaced the fifty 0.043” diameter holes apart by only 0.9 inches. Having this many holes reduces the amplitude of the resonances, making them more difficult to ‘find’ by simply listening to the amplitude when adjusting the frequency input to the speaker. Better performance would be achieved by having fewer holes spaced further apart. Lastly, I’ve used a pipe whose inner diameter is only 2.5 inches. A larger diameter pipe would further increase the amplitude of the resonances. I put an electret microphone inside the Rubens tube at the end opposite the speaker, and measured the pressure inside while electrically driving the speaker with pink noise. I did this with both air and propane inside the tube. The following graph shows the low amplitude of the tube’s resonances with propane inside — between 4 and 7 dB. The other interesting bit of data one can find from this graph is the speed of sound in propane. 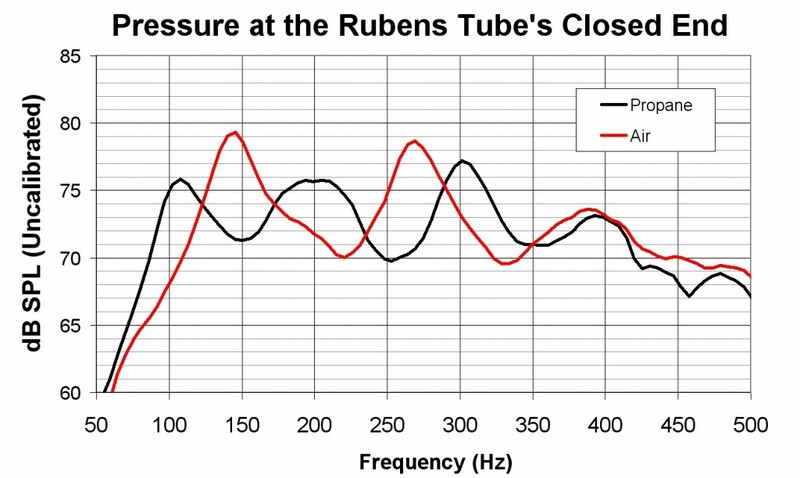 Knowing the sound speed, one can calculate either the length of pipe needed to have a particular fundamental resonance frequency (n=1) or if a particular speaker has a resonance frequency low enough to excite the fundamental resonance of a particular length Rubens tube. The resonance frequencies of a tube having uniform cross sectional area and two rigidly closed ends are given by: Fn = nC/(2*L), where n is the nth mode, C is the sound speed, and L is the length of tube. The Rubens tube doesn’t have two closed ends, it has a paper cone speaker at one end. 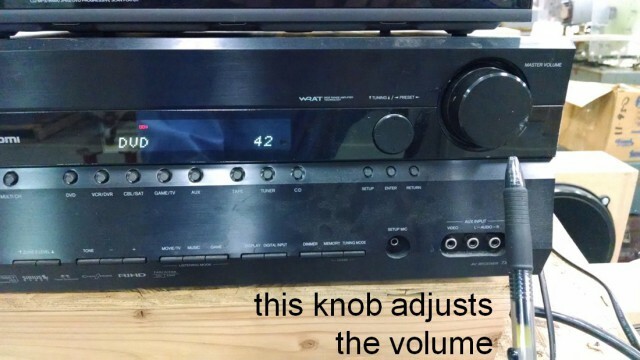 It also doesn’t have uniform area – it has a small open volume in front of the speaker. Both of these will change the “effective” length of the tube. Don’t worry though, we can use the measured resonance frequencies with air in the tube to calculate the effective length: Leff = nC/(2*Fn). Knowing C=343 m/s in air, we can use the measured resonances of the first three modes (144 Hz, 262 Hz and 380 Hz) to find that the (averaged) effective length is 1.28m. 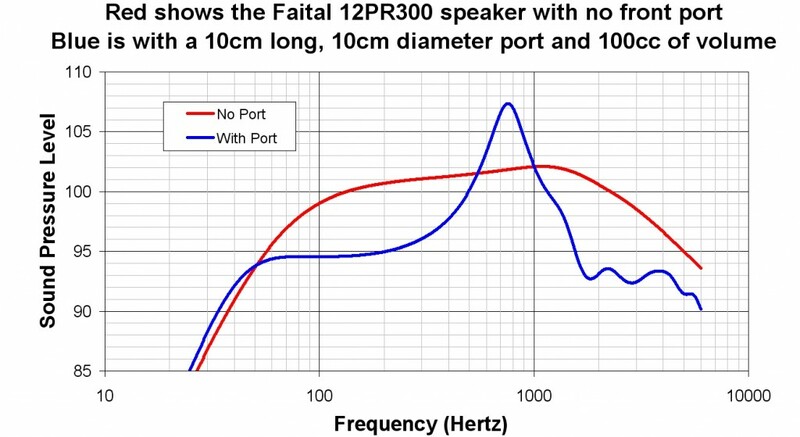 Using this effective length and the lowest three resonance frequencies (108 Hz, 205 Hz, and 300 Hz) with propane in the tube, Fn = nC/(2*Leff) predicts the sound speed to be ~265 m/s. Makerspace members or any other folks near Milwaukee should feel free to stop by (on Tuesdays or Thursdays evenings) and fire up the Rubens tube. 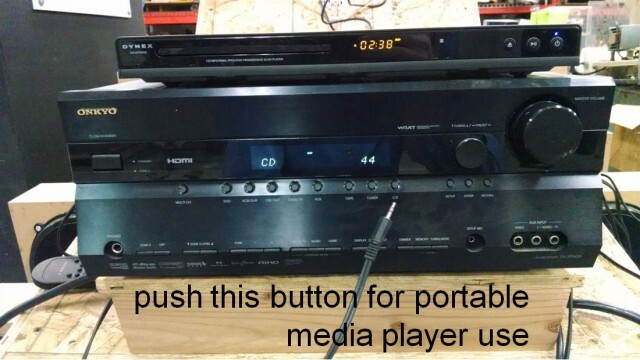 Just use a small amplifier so you don’t put more than 30 Watts into the 4” speaker! For some scholarly information about Rubens tubes, check out the series of articles in the journal “The Physics Teacher:” M. Iona (14), p325 from 1976; T. Rossing (15), P260 from 1977; R Bauman (15) p448 from 1977; and G. Flicken (17) p306 from 1979.